Please, please, pretty please ... make sure that your local records are “safely” stored! Though we are a few days out of September, which is Disaster/National Preparedness Month, we have to always be vigilant in preparing for unforeseen disasters (whether big and due to nature or small and manmade). 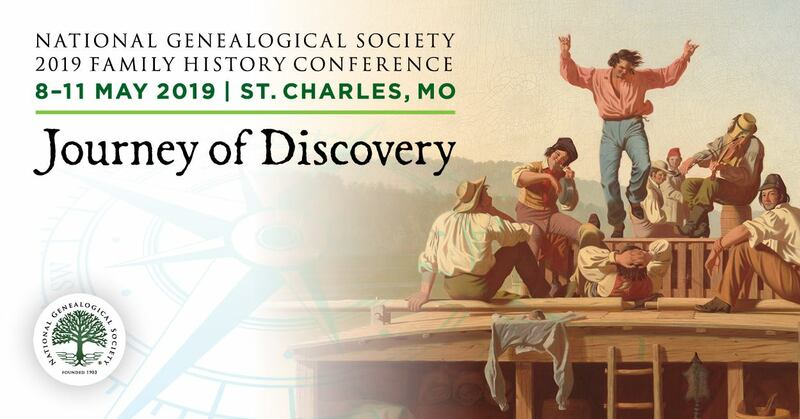 This post is just as relevant today as it was last year, Disaster Preparedness for Genealogists -- Are you Prepared?. Though the post focused on your personal preparation for a disaster, much of the same information applies to local authorities, libraries, archives and others who have responsibility for or are stewards of original resource materials. You will also find some useful information in the post Are you celebrating PRESERVATION WEEK? After I initially wrote this piece, the following was posted by The G.S.132 Files (the blog of the State Archives of North Carolina), A Case for Active Management of Public Records. 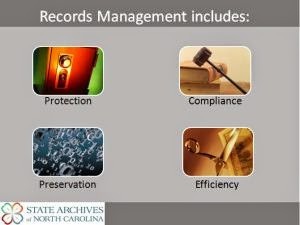 The accompanying graphic summarizes a lot of why active records management is so important to ALL of us!